This article is 3201 days old. 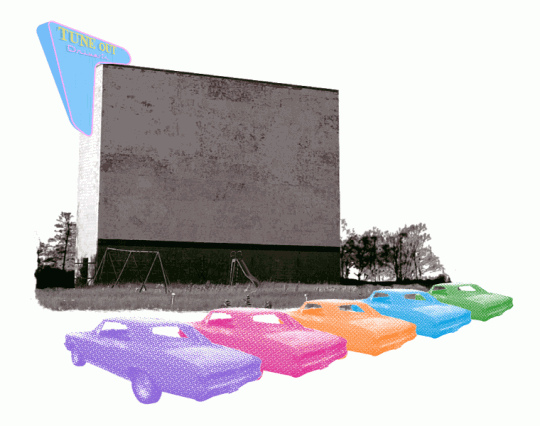 Tecumseh Mall’s parking lot is turning into a Drive-In Movie theatre tonight, and you’re invited! COME AND EXPERIENCE A DRIVE IN MOVIE! FIRST STEP: HURRY TO TECUMSEH MALL – AND VISIT THE INKSHOP TO GET YOUR VIP PARKING PASS. WE WON”T TURN ANYONE AWAY IF WE HAVE ROOM – BUT SPECIAL SPACES WILL ONLY BE RESERVED FOR PASS HOLDERS. PARK AND FIT IN WHERE YOU CAN…. AND ENJOY THE MOVIE! SECOND STEP: PLAN YOUR EVENING RIGHT. WE HAVE EVERYTHING HERE TO CURB YOUR MOVIE MUNCHIES! COME EARLY, SECURE A SPOT AND HAVE DINNER IN THE FOOD COURT. STOCK UP ON ALL OF YOUR FAVORITE SNACKS AT SOBEYS, ZELLERS AND DOLLARAMA. PLEASE NOTE MALL WILL CLOSE AT 9PM… BUT A&W AND TACO TIME WILL BE AT YOUR SERVICE! LOOK FOR THEM IN THE PARKING LOT AT DUSK AND PLACE YOUR ORDER! THEY WILL DELIVER FOOD STRAIGHT TO YOUR CAR. Sounds like a great event, considering we haven’t had a Drive In movie theatre in many years. For more information, visit Tecumseh Mall’s website.